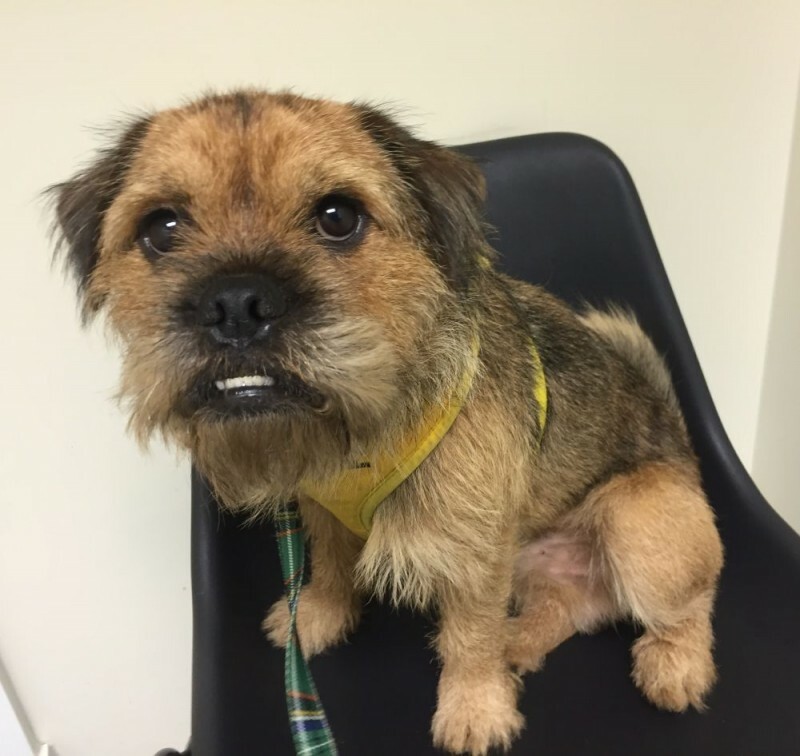 **ADOPTED** CHEWY – cheeky little Border Terrier x Pug! Chewy is a gorgeous, scruffy Border Terrier x Pug who is approx 3 years old. He has SO much character and is looking for an experienced terrier home ASAP! He is cat friendly, and could live with confident cats. He would be happiest as the only dog as he does guard his toys/treats from dogs. Chewy sadly led a very sheltered life as he was growing up, and was not walked, which has caused him some issues. He is very noisy out on walks, and barks/lunges at traffic and especially other dogs. He needs plenty of work with this, and would be happiest in as quiet an area as possible for now while he starts his training. Chewy is OK with non challenging dogs once he has met them, and has lived with another dog, but is best on his own for now. He is good around the house, fully housetrained and OK to be left for a few hours, although would prefer as much company as possible! Chewy would suit a quieter home with teenage children upwards. He is such a clever, bright and energetic little chap who has tons of potential, but is very much a work in progress and needs to find his special someone who can help him on his way!